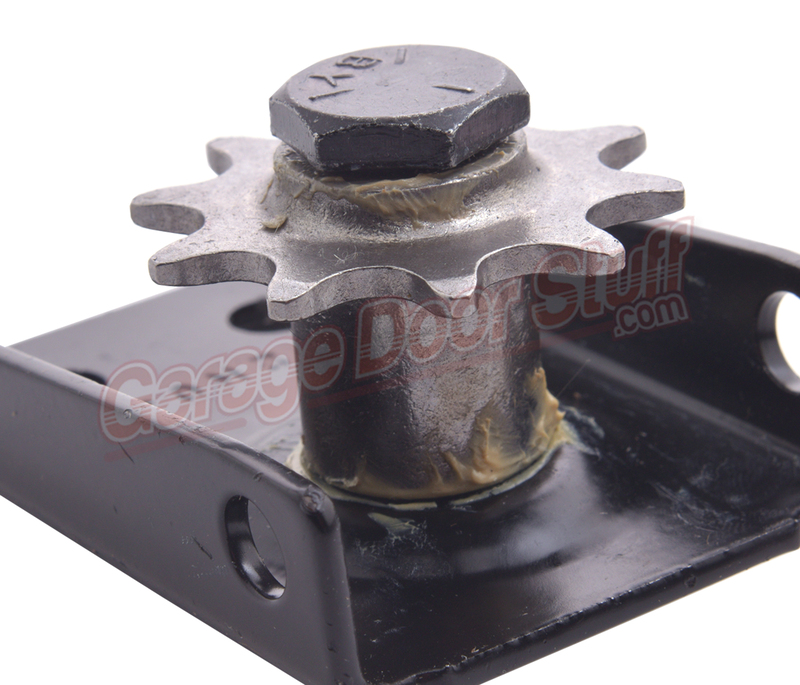 Many times when a pulley fails, the bolt and or spud can be damaged or out of alignment, it is usually prudent to replace the entire bracket and pulley assembly. Cost is negligible and if the bolt, shaft, spud is not correct, another pulley failure will be the result. 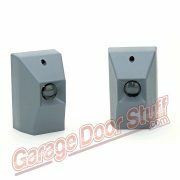 There are not many things that con go wrong with this type of garage door opener, keeping the drive system, the chain, chain / cable or belt assembly and pulley in good working order will prevent the majority of issues you can have. 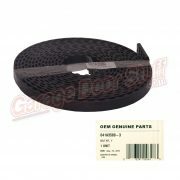 We will typically replace the entire assembly, this entire kit, we do not want our customers to have any further issues. This particual gear assemgly will work on many different brands of openers, it the unit is full chain and has a T style rail, there is a very good possiblity this assembly will work for you. Of all of the gear type assemblies currently in productioon, this is the most robust and has the most cross over potential of any. 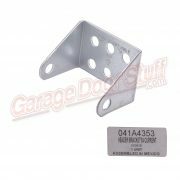 Genuine Liftmaster part – brand new – never buy this part used, not worth the aggravation. 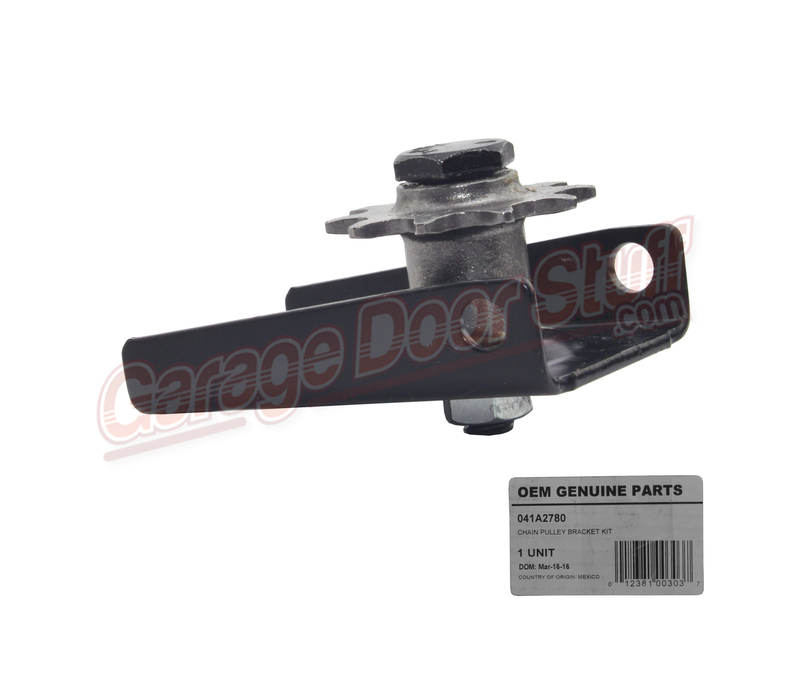 We stock many other garage door opener front idler pulleys and pulley assemblies. If you have an older, out of production garage door opener and the front idler pulley, the chain or the belt goes bad, we most likely have a new part that can be used, regardless of brand or model. And, we are glad to help you find something that will work. We like to keep older machines in use as much as possible. 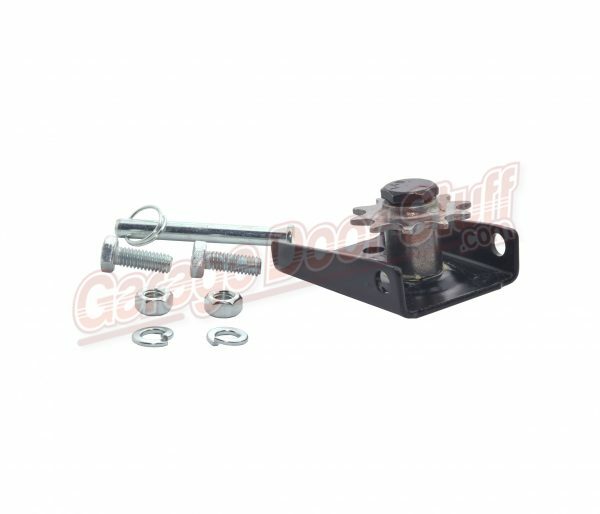 This assembly will work on ANY garage door opener that has a T type rail and has a chain / cable combination drive system. With minor adapting this will work on older units that suffer front pulley failure. 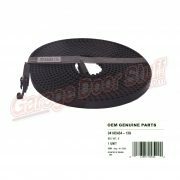 We stock – full belt assemblies. full chain assembles, chain and cable combination assemblies and can make any full chain or chain and cable assembly by hand, in our shop. Send us your specifications and shipping information and we will give you a quick quote. 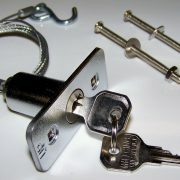 We have what you need for most any garage door opener rail, belt, chain, screw drive, you name it.